From tablets and video games to bikes and “hoverboards”, the hottest gifts this holiday season could be a pain come the New Year. Read on to discover some of the most common holiday injuries and how to avoid them with help from Tamara A. Topoleski, M.D., Orlando’s only independent, board-certified pediatric orthopaedist. 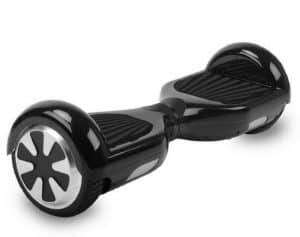 It’s 2015 and hoverboards are here! Well, sort of. The coolest new gadget this year is a two wheel self-balancing electric scooter “hoverboard.” Before hopping on this hot holiday gift, be sure to protect yourself from painful head injuries, scraped knees, and busted elbows with the necessary safety gear. Knee, elbow and wrist guards can also be used to minimize injuries during a fall. “The most common injuries associated with the scooter are mild such as ankle sprains and wrist fractures,” adds Dr. Topoleski. Did you know that spending time on tablets and mobile devices can put three times as much strain on our muscles when compared to desktop computers? 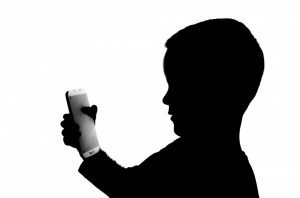 Recent studies show bending the head at a 60 degree angle to look at a phone screen puts 60 lbs worth of pressure on the spine! Technically known as De Quervain’s tenosynovitis, Texting Thumb can result in pain, inflammation and even decrease in grip strength or range of motion. Whether it’s Fallout 4 or excessive Snapchat use, repetitive movements of the thumb caused while holding the video game controller or phone can put a lot of strain on the thumb and hand, potentially resulting in a repetitive strain injury (RSI). If the new video game has you gripping the controller all night and you experience any of these symptoms there are a few at-home remedies. If your pain continues despite these treatments, then consider scheduling an appointment to be seen by one of our specialists. Even with all the precautions in the world, sometimes accidents still occur. If your child or a loved one is involved in a holiday stumble, our pediatric trained orthopaedic specialists Dr. Topoleski, Michael D. McCleary, M.D., and Michael D. Riggenbach, M.D., are here to help make the holidays bright again. Remember: It’s important for adults to be safety conscious during the holidays as well, especially when traveling, cooking and assembling gifts.